There are so many things to love about living in Minnesota: It’s super affordable. It has party lakes. It’s not Wisconsin. Unfortunately, cheap car insurance isn’t on the list. Because it’s a no-fault state, Minnesota’s car insurance rates are higher than in neighboring states. But if you’re having a hard time finding a policy you can afford, Compare.com can help! Keep reading for our best tips — or, if you’re short on time, start comparing free insurance quotes to find the best deal for you. How Do I Find the Cheapest Auto Insurance in Minnesota? Out of all the Minnesota car insurance companies, which one has the cheapest rates? Well, that depends. The cost of MN car insurance is determined by a lot of factors: your place of residence, your job, your age, your gender, etc. Your credit matters, too. 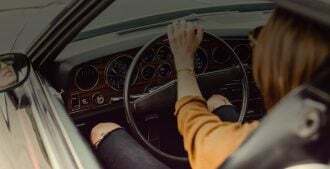 For single drivers, having poor credit and a perfect driving history actually means paying $900 more per year for MN insurance, on average, compared to drivers with great credit and a DUI Consumer Reports found. It’s not fair, but that’s the way it is. The only way to find the absolute cheapest car insurance in Minnesota is to compare customized quotes from different insurers. Compare.com makes it easy to compare side by side, so you can pick a winner. What are Minnesota’s State Minimum Insurance Requirements? $30,000 per person and $60,000 per accident in bodily injury liability: Bodily injury liability can pay for other people’s medical bills and lost wages when they’re injured in an accident you’re legally liable for. $10,000 in property damage liability: Property damage liability pays for damage to other people’s property (such as their cars) in an accident you’re liable for. $30,000 per person and $60,000 per accident in uninsured/underinsured motorist bodily injury liability: This coverage can protect you if a driver with insufficient or no insurance injures you in a collision. $40,000 per person, per accident, in personal injury protection (PIP): PIP pays for medical expenses, lost wages and other necessary expenses after an accident, no matter who was at fault. Is Minnesota Minimum Insurance Enough to Cover Me? It might be! Nationwide, the average auto liability claim for property damage is $3,683; the average auto liability claim for bodily injury is $16,110 (as of 2016). With PIP and 30/60/10 liability coverage, chances are good that MN minimum insurance will be enough to cover you if you cause a collision. BUT (there’s always a but), minimum insurance isn’t enough for everyone. If your car is newer, or if you have a car loan, you’ll need to have comprehensive and collision coverage to protect your vehicle. And if you own a home, or substantial assets that you could lose if someone sues you, you’ll want insurance with higher liability limits. 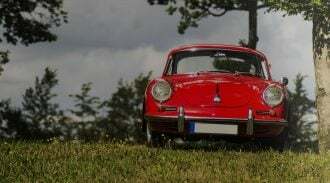 How Can I Find the Cheapest MN Auto Insurance that Actually Protects Me? It’s easy with Compare.com! All you have to do is compare personalized car insurance quotes for MN. That way, you’ll find a policy that covers all your assets but is also cheap enough for you to afford. To show you how it’s done, we ran the numbers for a 27-year-old woman with a clean driving record who’s shopping for cheap auto insurance in St. Paul. Her quotes for minimum coverage MN auto insurance range from $117 to $132 per month, when she opts to pay her premiums up front. (You can also choose to pay month to month, but you may have to pay a down payment plus installment fees). Those rates look pretty good, but our sample driver also wants collision and comprehensive coverage to protect her five-year-old Mazda 6. So she’ll select the next-best level of insurance: Basic, which adds comprehensive and collision with a $1,000 deductible. Now, our driver’s insurance quotes range from $171 to $521 per month. You can see why it pays to compare — there’s a huge difference between the highest and the lowest quotes for the exact same coverage. What if our St. Paul driver wants even more coverage — to protect her house, or her savings account? The next level is Plus, which offers a lot more than Basic. In Minnesota, Plus coverage increases bodily injury liability and property damage liability to 50/100/50 (with the same limits for uninsured motorist coverage). It also lifts the PIP medical limit to $30,000. The comprehensive/collision deductible drops to $500, and she gets towing/rental car coverage too. Our sample driver’s quotes for Plus coverage range from $217 to $595 per month. Your rates might be higher or lower, of course, but you get the idea. If you want to make your MN auto insurance cheaper, you can click “Customize coverage” to adjust elements of your coverage. For example, when our insurance seeker customizes Plus coverage to have a $1,000 deductible and no rental car/towing coverage, her best quote drops to $176. That’s a monthly savings of $41. How Does No-Fault Insurance Work in Minnesota? Minnesota is one of 12 states that have a system of no-fault insurance. “No-fault” does not mean you can’t be sued! It means that for minor injuries, you turn to your own PIP to get money for medical bills and lost wages, no matter who caused the accident. For big accidents, however, people can sue the at-fault driver if they suffer permanent injury or disfigurement; disability lasting more than 60 days; more than $4,000 in medical expenses; or death. I Can’t Afford Minnesota Car Insurance. What Happens if I Drive Without Insurance? It’s a lot easier (and smarter) to just buy insurance! Compare quotes for MN car insurance so you can pick the cheapest option. Get started now.